Is #Monsteramonday not enough for you? 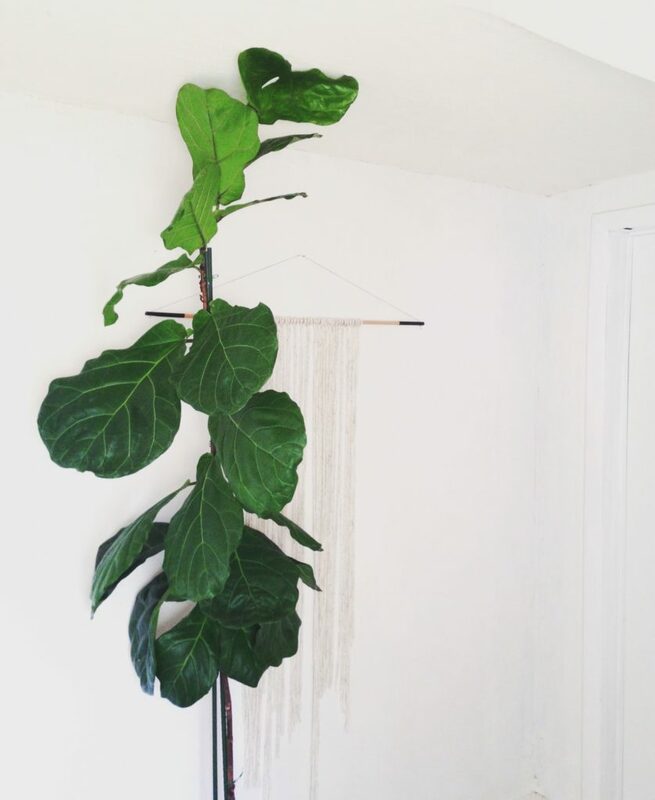 Want another giant plant friend in your life? 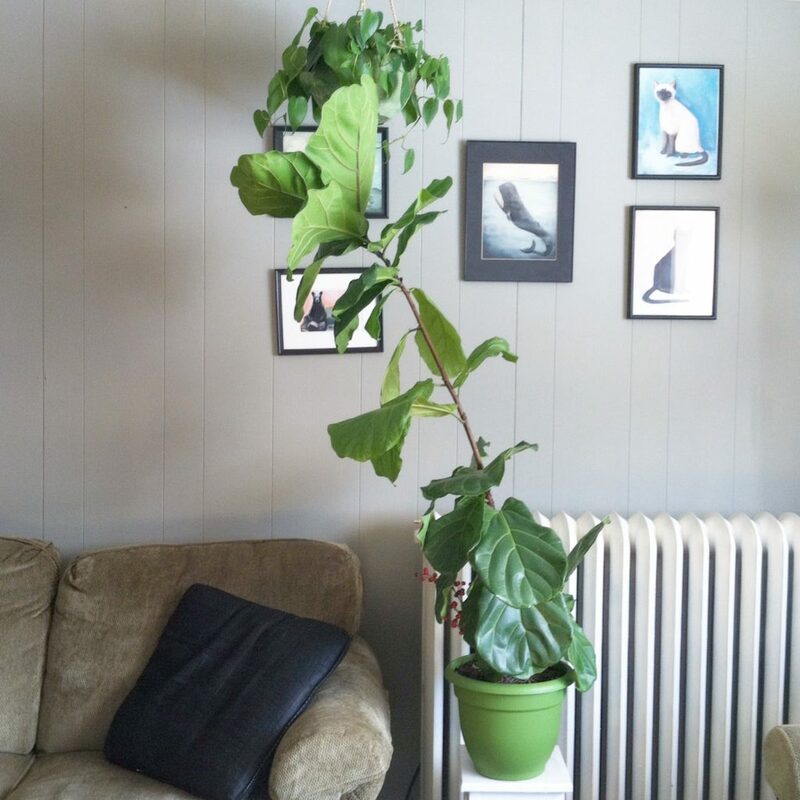 Prepare yourselves for the Fiddle Leaf Fig, now becoming popular with #FLFFriday on Instagram. It’s exhausting staying with the trends. 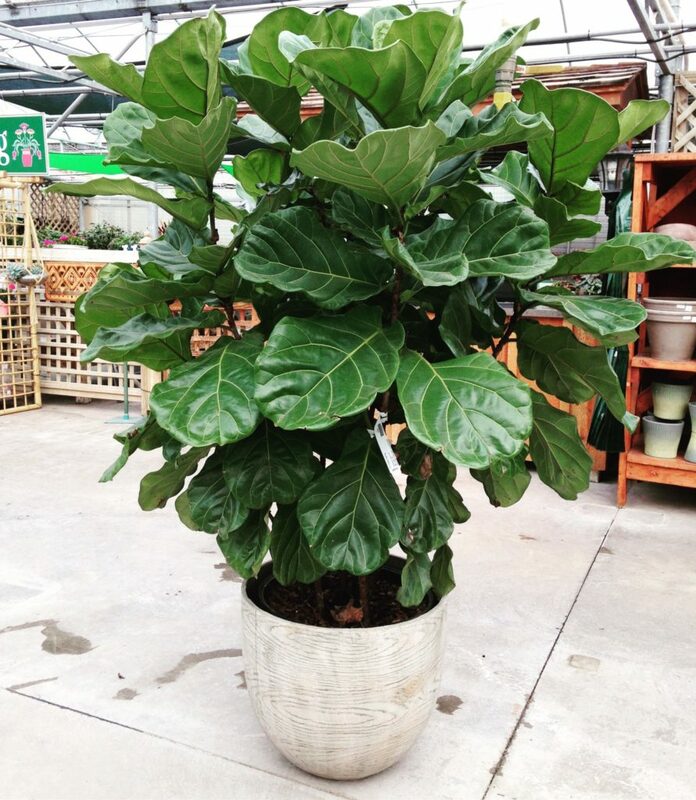 Fiddle Leaf Figs really aren’t a trend, they’ve actually been favorited indoor houseplants for years. Many of the garden discussion boards I follow have people of all ages asking questions and flaunting their giant Fiddles. I’m not going to dress it up – what makes them the center of discussion is they are TRICKY. Somewhat temperamental and oddly fast growing, Fiddle Leaf Figs, known as Ficus Lyrata, need the right conditions to be happy. Unlike Rubber Trees or Monsteras that are a bit more hardy, Fiddles need the right care to flourish. Don’t be intimidated, keep reading. Let me introduce, Filbert, my Fiddle Leaf Fig. It was somewhat difficult finding one at first, but strangely the Home Depot always seems to have several in their greenhouse. I purchased him in 2015 at 4′ and in three years he is now well over 7′. Only one trunk, yes, but he’s a happy clam and I just keep adding stakes as he grows higher. I’ll have to prune him eventually, but that’s another blog post. The best advice I can give you is this: listen to your Fiddle. First, follow the basic rules of Ficus husbandry – water when slightly dry, keep in a well lit location with filtered light, and keep humidity steady in all seasons. These rules will keep them content, happy, popping a leaf every so often. Whatever. But Fiddles are sneaky devils and this simply isn’t enough. You must be one with the Fiddle, grasshopper. My weekly Fiddle tasks include checking the moisture as they never like to completely dry out. In very dry winter weather and very hot summer air they drink like crazy. Next, like his large leafed siblings, Fiddles need their leaves cleaned. Dust and Godknowswhat falls onto leaves and prevents them absorbing sunlight. Basically it stifles growth and that’s horrible. Use a soft cloth with a drop of organic dish soap and just clean the top of the leaf. Lastly, I rotate Filbert so he does not droop to one side. Unfortunately for the first year I did not do that – scroll back up to picture 1 for result. On the other hand, Fiddles like drama. Yes, Filbert looks healthy and happy but there was a period he was only produce itty-bitty-comically-small-for his-size leaves and I did not know why. Another time he developed his own acne and there were brown spots on some leaves but not others. Then, some leaves randomly unfurled with a hole in them, which was generally unsightly. And last, I cannot stress, he is still somehow supported by one trunk and will not pop out another. I tell myself it’s just his teenager faze. As you can see, despite all of this drama, Filbert is still thriving. When one of these issues appeared, I tried to identify why this may be happening and what I can do to fix it, using my own green intuition, which I know you have too. Usually it’s too much water or not enough, sometimes it’s not enough light. Since Fiddles’ issues are not cut and dry, the best way to keep them alive is to learn what they like about you and your home. Aw. 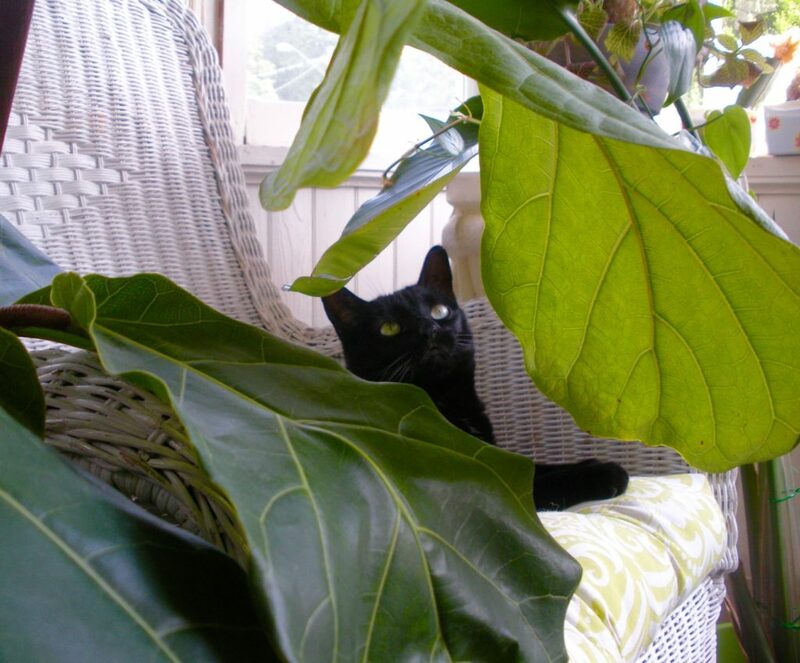 I do have one more big question that still comes up – why do I have a toxic Fiddle Leaf Fig in my house, with cats? 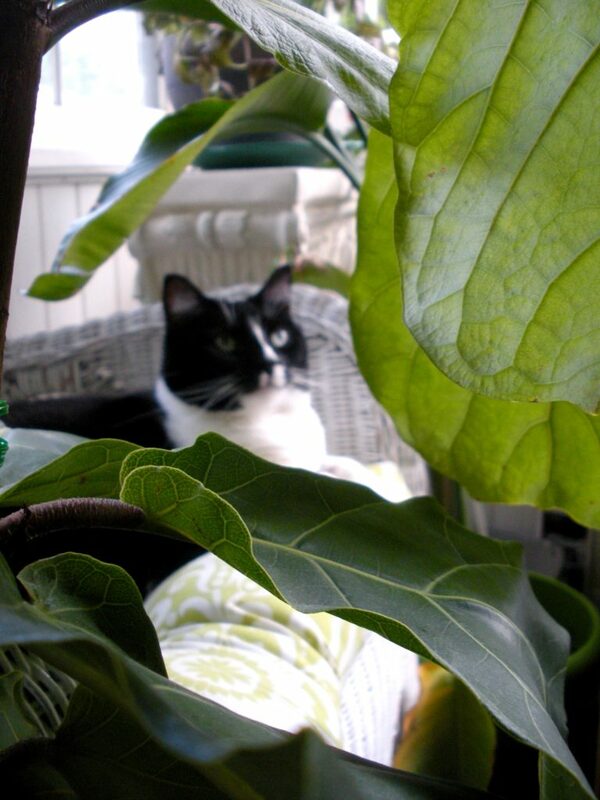 Just as I mention in my posts on Monstera Deliciosas and Rubber Trees, I don’t have an issue with my cats and Fiddles. Filbert is considered a toxic plant and actually belongs to the ficus family, as is his brother, Rudy (ficus elastic). Also like Rudy, Filbert’s sap and leaves are the issue, which can cause stomach upset if ingested. 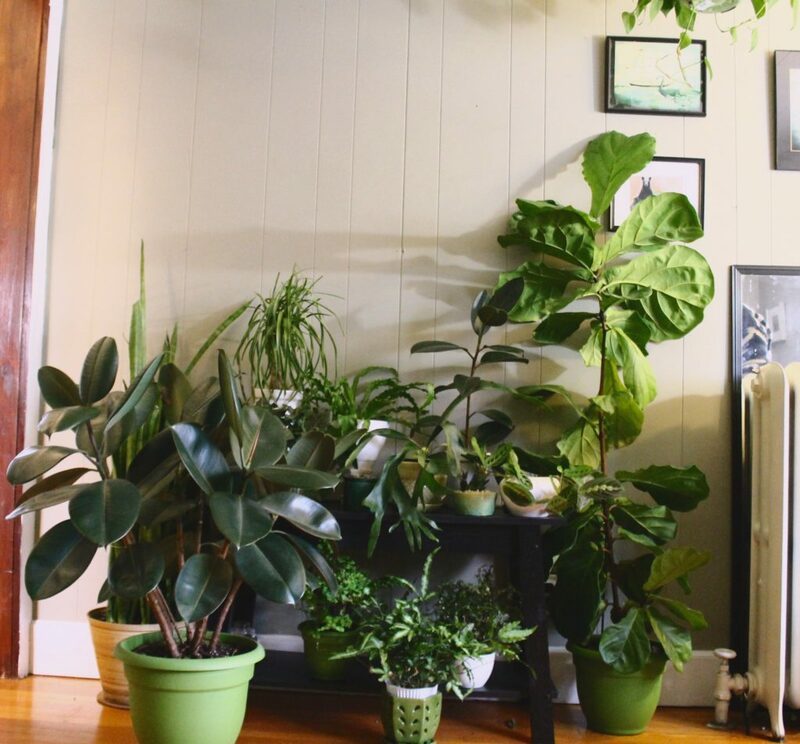 I would consider the ficus family to be marginally toxic, as very few pets actually want to consume any part of the plant anyway. Due to leaf size, Filbert is very much a piece of furniture to them and they are not fazed. They do enjoy rubbing their faces on bottom leaves which is relatively harmless but annoying. I will say that, if your Fiddle is sprouting a truck from the base, that may be a chew-able treat in a cat’s or dog’s eyes. If you find it is a problem, just put a bit of cayenne pepper on the top and Fido/Fluffy shan’t eat no more. 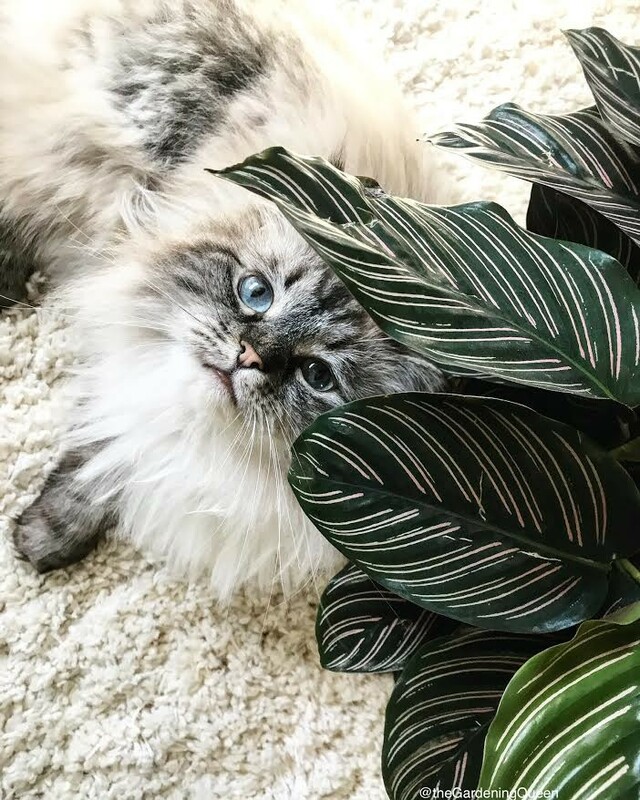 I have said this before and I’ll say it again – the point of my blog is to educate others about certain plants and how pet and plant owners can co-exist peacefully. 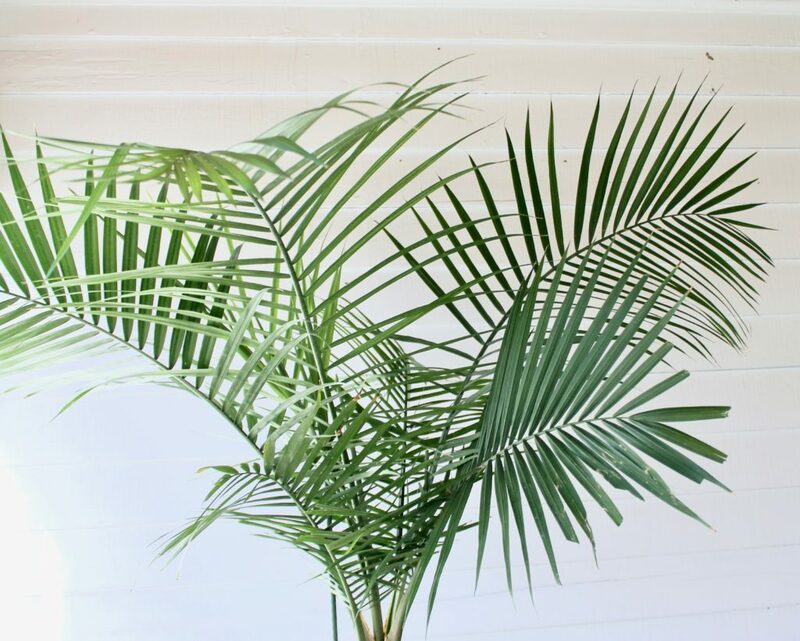 While I do always recommend not filling your home with potentially toxic plants, I think it’s important to understand why plants are toxic. The only way I’ve been able to care and collect plants if through reading and researching, helping my plantuition grow. I hope you do the same. As my one year blog anniversary (blogiversary?) creeps up, I want to thank everyone who reads my posts and takes some kind of interest in my plant obsession. I do hope you actually learn something too. I believe 2 of my kittens may have ingested a dried up fiddle leaf fig leaf as they are both vomiting and have no appetite. Would a dried leaf harm them as much as a live one? Hi Rachel, First, if you haven’t done so already, take your kittens to the vet asap. 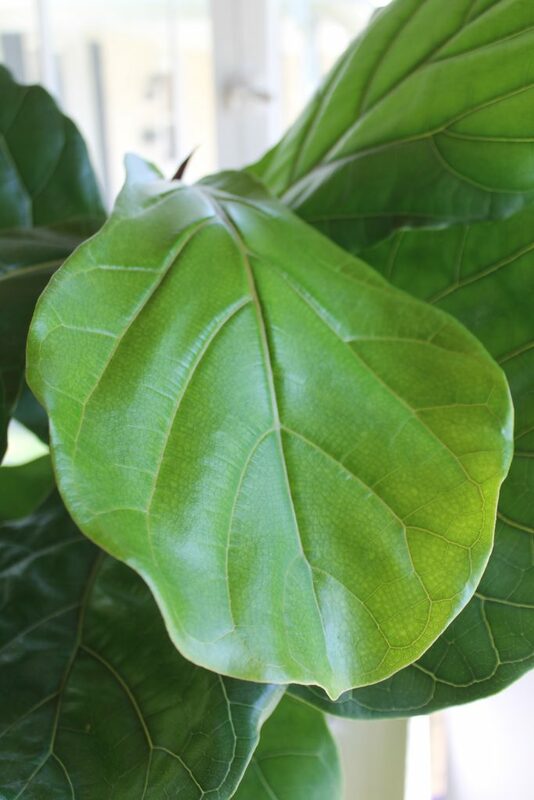 A toxic plant such as a Fiddle Leaf still has some toxicity if ingested despite it being dried. Because they’re kittens, they are even more sensitive to plants. I hope they recover ok! Thanks for your blog post! 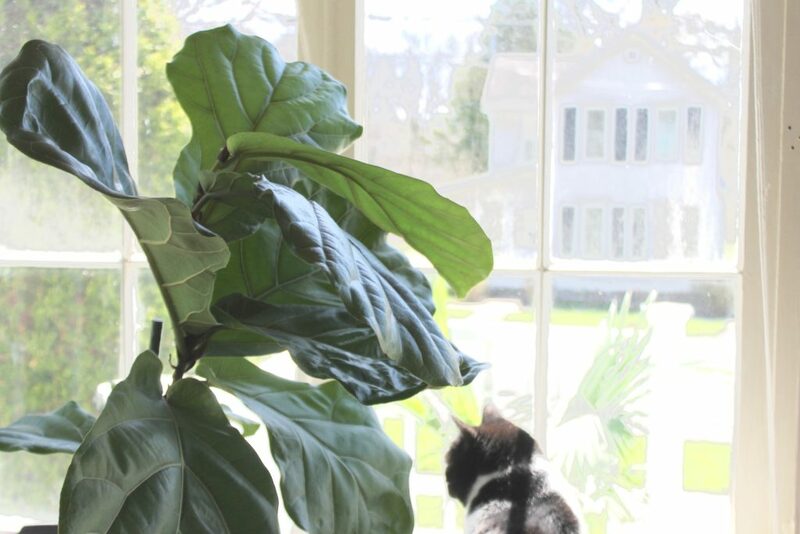 I’m getting a cat for the first time and was worried I’d have to get rid of my rubber plant and my fiddle leaf fig, so I’m happy to hear they might be able to cohabit peacefully!! Glad I can help you out, Steven!